Land issues are rarely considered to be a problem for Europeans, or cause for people’s struggles in Europe today, as it is elsewhere in the world – at least in the emerging literature on contemporary global land enclosures. But is this really the case? A closer look reveals quite the opposite. Many deeply social, cultural, political and economic issues and concerns around land that are associated with countries and peoples in the global South exist all across the globe – including in a region where one might least expect it: Europe. 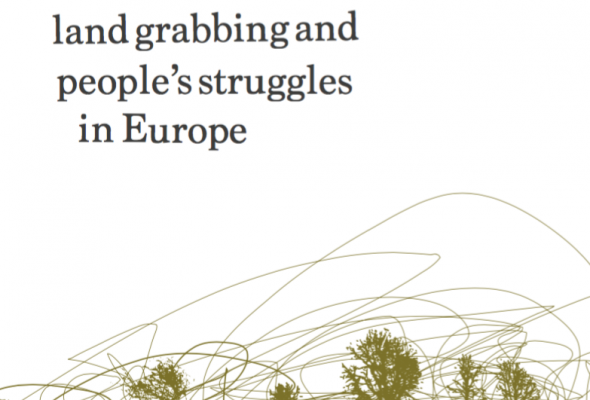 In Europe today, concentration of land under ever larger holdings controlled by fewer hands, resulting (in part) from land grabbing and resulting in shrinking access to land for small-scale food producers, is accelerating. To what extent, how and why this is happening warrants far more critical attention than has been the case to date. This collection aims to address this gap and spark meaningful and constructive discussion. It brings together case studies detailing the nature and extent of these problems in 13 countries. The case studies are capped by a final chapter that reflects on the situations they present from a human rights perspective, using the lens of the CFS Tenure Guidelines on Land, Fisheries and Forests, a new governance instrument that was supported by European governments and addresses tenure issues in relation to national food security and the progressive realisation of the right to food.